Me – A Television Star! 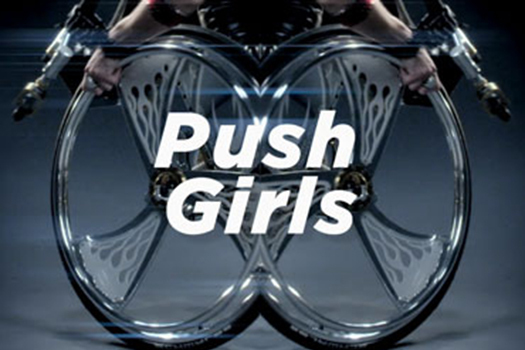 Little did I know I would be “the Instructor” on an episode of the new reality series “Push Girls” on The Sundance Channel. This show follows 4 young attractive women who just happen to be wheelchair bound. We get a look at how they lead lives just like you and me. At the appointed time I met Mia Schalkewitz a former swimmer who is paralyzed from a genetic defect that affected her at age 15. To say she is inspirational is an understatement. She graduated high school, college, became the first girl in a wheelchair at the University of Florida to rush and join a sorority. She then moved to Los Angeles where she currently works at a graphic design and branding firm. Mia is also a member of the Colours n’ Motion dance team and works with the non-profit Wheels for Humanity, an organization which brings refurbished wheelchairs to people in developing countries. The scene was for Mia and her “date” (who was not in a wheelchair) to go kayaking together. I got Mia and her date dressed to kayak (you always dress for immersion in the water), gave them some paddling stroke tips and then got Mia and her date in their boat. Off we went down the main channel with a whaler close behind filming all the way. They were very lucky as they got up close and personal with a sea lion as well pelicans and other wildlife.